While each year brings its ups and downs. I am very thankful for my friends and families and very disappointed with retail stores that are open today. Retail employees have families too and we should give them a break as well. I went hiking in Redwood Regional Park in Oakland. It was pretty nice. At first, it looked like changing my drum brakes would be a daunting task. But after studying the repair manual and watching some youtube videos of people disassembling and re-assembling their drum brakes. This requires three steps, removing the brake drum, disassembling the shoe and then re-assembling the new shoe and the brake drum. Removing the brake drum is relatively easy on my car this required just removing the wheel and then pulling off the brake drum. Then disassembling the shoe required removing several springs, the brake shoe adjuster, and the operating level. The hardest part of the process was removing one shoe pad on each brake that is attached to the operating lever from the C-clamp. The operating lever attached the pad to the backing plate. Luckily, I had a friend to help me remove the c-clamp. Afterward, I cleaned down the backing plate with WD-40. Re-assembling, required attaching the C-clamp to operating level to attach it to the brake pad. Then replacing the other parts required for properly assembly in order. I adjusted the brakes using the brake shoe adjuster to ensure that wheel stops after 1 rotation. After trying to make due with installing GitBash on my Windows machine. I just found it so inconvenient not having a native bash shell. Even though there is bash for Windows in version 10. I still find it inferior to the Apple Terminal. 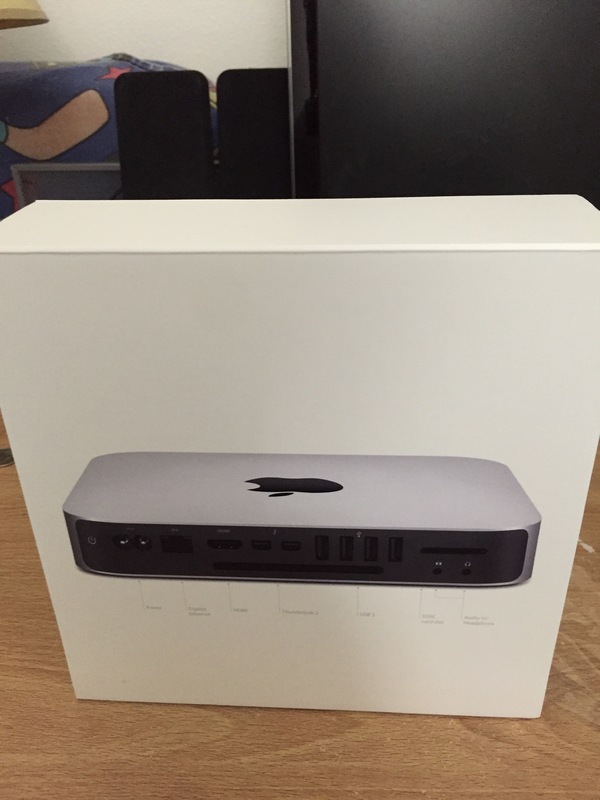 I’ll also be getting a new Mac Book Pro for my company computer , so I’ll be able to do more development work. 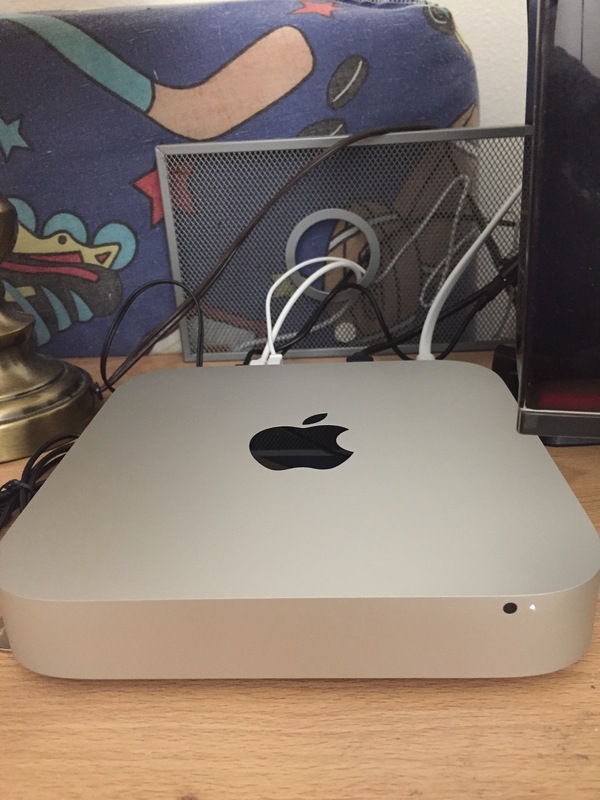 Overall I’m pleased with my Mac Mini so far. It took about 10 minutes to setup out of the box and syncs with my iPhone and iPad. 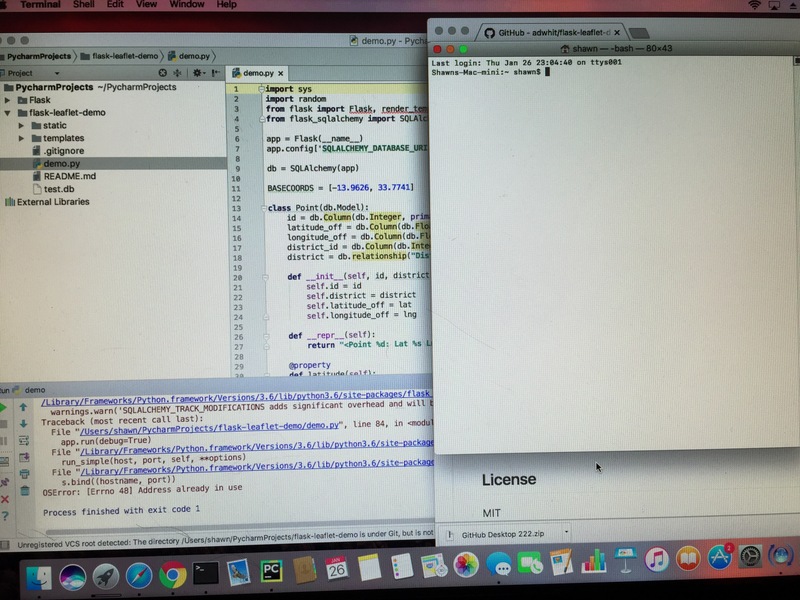 I was able to install Python and Flask from the terminal easily. At a talk I attended, the speaker had only one slide that explained all the career advice he followed to become a VP. Now we can get rid of all those books providing career guidance. I successfully installed a 480 Watt solar system on my balcony. The system consists of a charge controller (40A), two 6 volt 230 AH batteries tied in series to generate 12 V, three 160 Watt panels, and a 2300 Watt DC-to-AC inverter. The only draw back so far has been the DC-to-AC converter. which uses a modified sine wave, that causes some harmonic distortion when plugged into the TV. Tonight is the first night in 10 years where I haven’t had my work laptop, or personal laptop with me. When I left the office tonight, I put them in my drawer because I had to run some errands and I don’t like keeping my laptop in my car,especially after my car got broken into in SF. But, I never made it back to the office tonight. It feels sorta nice and sorta weird at the same time. I guess it gives me more time to read the NYT and watch Netflix from my phone. For the past few nights my Lenovo desktop (B40-30) has been turning itself on automatically in the middle of the night. At first I thought perhaps the power button was depressed by a book next to the computer. I checked and that wasn’t the case. After searching google I’ve found that this is a common problem experienced in Windows 10. It turns out my wifi driver was set to automatically turn-on my desktop if prompted by wifi. This problem was solved by turning off the option to allow my desktop to be waked by the wifi network, which was checked. The likelihood of traveling frequently by plane and not having luggage damaged by mishandling is very low, making it important to invest in well-designed luggage backed by a good warranty policy. Briggs and Riley manufactured luggage fits both of these criteria, which I was introduced to by a sales associate while visiting Harrods in London. I purchased the Baseline, U122CX a two-wheel carry on meeting the dimensional requirements for most airlines I fly on. The four-wheel bag might have been more maneuverable but I felt the space trade-off made for the four-wheel bag was too great. The bag is extremely well-constructed with a garment system built-in to keep a suit from being wrinkled, a clever expansion system that compresses the bag by 25%, and parts that can be easily replaced. I’m very happy with my purchase and plan to buy more Briggs and Riley products in the future. The Amtrak tragedy is unfortunate and we shouldn’t rush to conclusions on why the accident occurred until the investigation is completed by the NTSB. I enjoy traveling on trains, I’ve used Amtrak Acela service, Eurostar, French TGV, Taiwan High Speed Rail, and Italian High Speed Rail. Train service needs to be expanded and faster, routes between places like Boston, MA and Burlington, VT take an entire workday and this is unacceptable. Fast train service will provide more flexibility by enabling more weekend trips and reducing carbon emissions. Improving our national rail infrastructure will require investment by the government and/or private entities. Shawn Adderly Create a free website or blog at WordPress.com.